The chairman of the National Union of Road Transport Workers (NURTW) in Kabba/Omu-Aran/Igbaja axis of Kwara State, Abdu-Akeem Laduba, has allegedly been killed by a member of a police patrol team that mounted road block along Ajase-Ipo road. Sunday Tribune gathered that the police officer, who was part of a patrol team that mounted a road block at Ajase-Ipo, allegedly fired a shot that killed the transporter on Saturday morning. 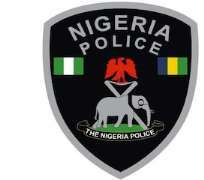 The police public relations Officer (PPRO) of the Kwara State police command, Ajayi Okasanmi, confirmed the incidenct, but said that the police officer did not intentionally kill the transport union leader. As a result of the killing, a large number of members of the NURTW in Ajase-Ipo stormed Ilorin/Ajase Ipo Highway to protest the death of their chairman by a police officer and disrupted vehicular movement along the highway. An eyewitness said that there was a disagreement between the patrol team and a commercial motorcycle operator while the NURTW man stopped to intervene to save the motorcyclist. It was learnt that the police officers were enraged by what they called 'effrontery' of the deceased transport union leader, a situation that reportedly further fuelled the disagreement. The NURTW man and the police officers reportedly engaged in hot argument resulting in a free-for-all. It was in the process that one of the policemen allegedly fired a shot that led to the death of the transporter, who was said to have died in the hospital where he was rushed to. The Ilorin/Ajase Ipo highway is a busy route for travellers traveling to Abuja, Kogi, Ekiti states and Osogbo in Osun State as well as other parts of the country. But while the protest lasted, protesters forced motorists to use leaves on their vehicles in sympathy for the deceased transport leader. They did not vacate the highway until the afternoon, it was learnt.